There are a number of reasons we want to sing ‘in all of us command’. The quick answer is because we love our country, our anthem is important to us, and we want it to include every Canadian on the planet. We are all of us proud to sing O Canada and O Canada should embrace “all of us”. 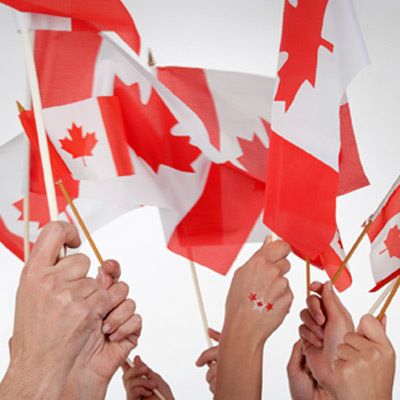 Singing the words ‘…”in all of us” command…’ makes the anthem crystal clear and inclusive, which is the essence of what it is to be Canadian in the 21st century: generous, adaptive, respectful, mindful of others, willing to reflect and make changes. We can change words written more than 100 years ago. The English lyrics for O Canada, first written in 1908, have already been changed five times (1913, 1914, 1916, 1927 and 1980). The first version was inclusive (“thou dost in us command”) but then the words were changed to “in all thy sons command”. Perhaps those words seemed more appropriate for that time. They are not appropriate 101 years later. We want to sing meaningful and powerful words. We want inclusive lyrics that proclaim what is at the heart of Canada, that our strength is our diversity, and that the future of Canada is about “all of us”. This includes all Canadians: our storied history, our present, and our bright future. The men and women of our armed forces literally stand on guard for Canada, and for peace and civility around the globe. We are grateful to these men and women, as well as their families. Indeed this is the case for all those who are in uniform all across the country, in various services, who serve and protect every day inside and outside of Canada. It is with equal pride that we look to each other. Representing Canada around the world is the work of everyone who carries a Canadian passport. It is the work of “all of us”. These two words that we want to put back in O Canada are just two little words. And it is these two little words that ensure that more than 17 million female Canadians feel included when we sing the national anthem is a sign of strength that, as Canadians, we test assumptions and indeed, symbols or anthems for their suitability. It is a sign of courage that, as a nation, we are willing to say “this just isn’t good enough for Canadians in 2014”.